A performance tour to Europe is a special occasion for any orchestra, choir, or band. There are many companies that offer such tours, but no one can create the kind of custom-built, educationally-oriented experience that In Mozart’s Footsteps can. And Dr. Nelson, a very experienced educator and trip leader, will be with your group every minute we’re in Europe. The 2010 tour of the Greensboro Symphony Youth Orchestra featured this standing-room only concert in Vienna’s Votive Church. There are many advantages to using In Mozart’s Footsteps for your performance tour. Here are just a few. Every detail of the tour will be jointly planned by the director of the ensemble and In Mozart’s Footsteps. Your tour will not be a pre-made package. You will deal with one person, Dr. Nelson, from the initial contact to the last day of the trip. He will personally lead the tour. Dr. Nelson has taught for many years at the high school and college levels, and is currently a Professor of Music at the University of North Carolina at Greensboro. He is dedicated to making his trips as educational as possible. He is a former high school and college orchestra and band director, and has conducted choral music, operas and musicals so he knows the details of taking an ensemble “on the road”. These range from basic things like risers, music stands and a podium to the specifics of rental instruments (German vs. French bows for string basses, and how timpani in Europe and the US are arranged oppositely). Your tour will attend two or more world-class performances at major concert halls or opera houses. In Mozart’s Footsteps does not have the overhead of a large staff, and this will keep costs down. Dr. Nelson will be as involved as is desired in creating the rules and regulations for the students, coordinating information with chaperones, and any other organizational matters. In Mozart’s Footsteps can arrange special, educational opportunities for students. In 2010, members of the Greensboro Symphony Youth Orchestra attended a rehearsal of the Berlin Philharmonic Orchestra, and had sectional rehearsals with members of that world-class ensemble. Dr. Nelson is an avid photographer and will take lots of pictures during the trip. Click here to see a portfolio of images from the recent performance tour. 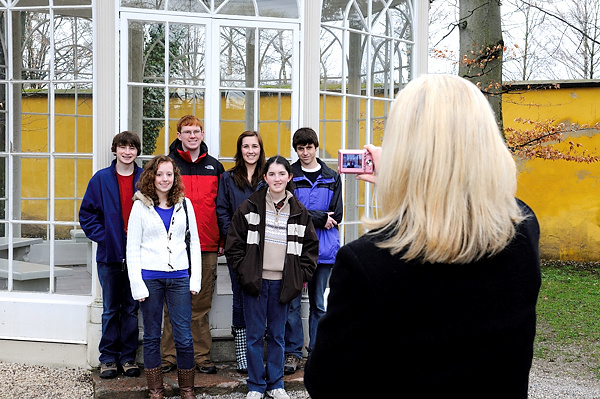 Taking a picture in front of the gazebo used in “The Sound of Music” is a must for every visit to Salzburg. In Mozart’s Footsteps will only lead performance tours to cities have rich musical histories, spectacular non-musical attractions, great performance venues, and which have proven to be excellent cities to visit in past trips: Vienna, Salzburg, Prague, and Munich. In Mozart’s Footsteps works with excellent concert promoters in these locations. 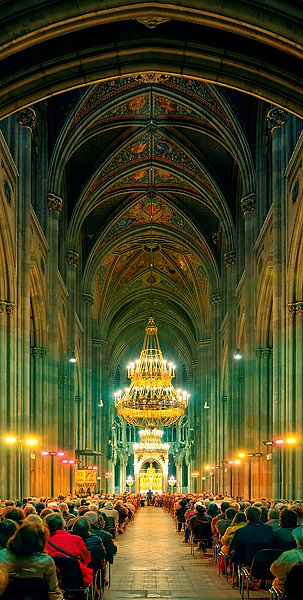 Depending on the time of year and budget, a great variety of performance venues are possible, including opulent concert halls and majestic churches. The concerts given by the Greensboro Symphony Youth Orchestra in Spring 2010 were at a 400-seat church in Berchtesgaden, Germany (near Salzburg) and a 1000-seat church in central Vienna. The local advertising was superlative, and both performances were standing-room only. Click here to see some of the pictures that Dr. Nelson took at these concerts. Deciding the schedule and location of our concerts will be a very important part of the trip planning, and many options will be explored until the director(s) of the ensemble are satisfied with the results. 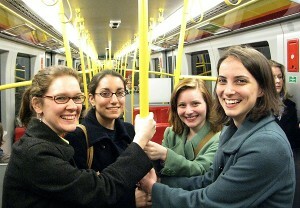 Vienna’s subway system is fast and safe. The safety and security of every traveler is of paramount importance to In Mozart’s Footsteps. Such concerns cannot be overstated and we will do everything within our power to insure the best and safest trip for everyone who travels with us. Some of our guiding principles regarding safety are listed here. In Mozart’s Footsteps will only travel to cities and countries that have proven to be safe for visitors. Austria, Germany and the Czech Republic are among the most politically stable countries in the world, and very safe destinations for American travelers. Dr. Nelson is extremely well acquainted with the cities we will visit, and only schedule group activities in locations that have proven to be safe. The hotels where we will stay are located in central and secure locations. At all times during the trip, students will be with Dr. Nelson or chaperones. 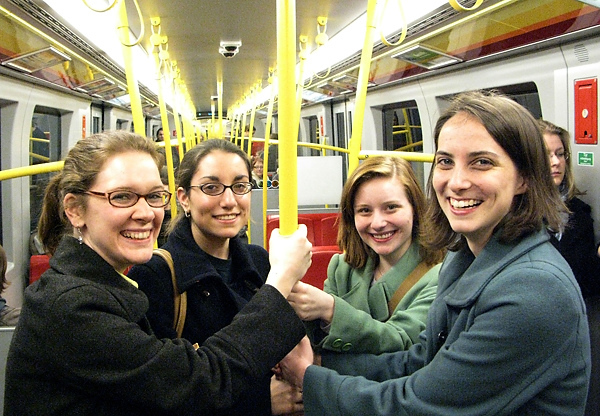 Public Transportation in these cities is excellent and safe. Rules for all transportation (planes, chartered buses, public transportation, walking) will be discussed orientation. In the pre-trip orientation meeting, we will spend significant time going over very detailed safety and emergency procedures. Every traveler will carry an emergency sheet with them at all times with every conceivable phone number and address that could possibly be needed. When at all possible, it is recommended that one of the chaperones be a registered nurse or medical doctor. Dr. Nelson is certified in CPR. International Health Insurance will be included for every participant in the cost of the trip. 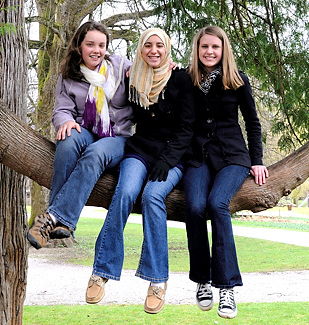 Students on the 2010 trip enjoying one of Salzburg’s parks. To make an international performance tour a huge success takes time and careful planning. In Mozart’s Footsteps is committed to investing significant amounts of time and energy to make sure the trip goes “just right”. To do this, Dr. Nelson is offering to particpate in frequent meetings, which can be in person, by phone, or via video conference. Dr. Nelson recommends that planning for an international performance tour starts one to two years before the trip. See Customized Group Travel to see some of the possibilities that your trip can have.